Ever had trouble finding that desperately needed book or research material? Look no further! Even with the invention of digital catalogs, many modern college students lack basic knowledge of how to properly peruse a library catalog. Gone are the days when one had to stand and slowly flip through hundreds upon hundreds of stock cards, wearily searching the file cabinets for the chosen call number. Students and professors alike we apt to spend hours idly flipping through these paper catalogs, hoping they might find scholarly information to aid in their assignments. Nowadays, modern students have thousands of research materials at their fingertips. Sadly, however, the art of finding research material has faded, leaving many students unaware of how to access the library’s books. Through easy step-by-step directions, the aim of this article is to take modern students through a tutorial of how to use a library’s – specifically Regent’s – catalog system. 1. 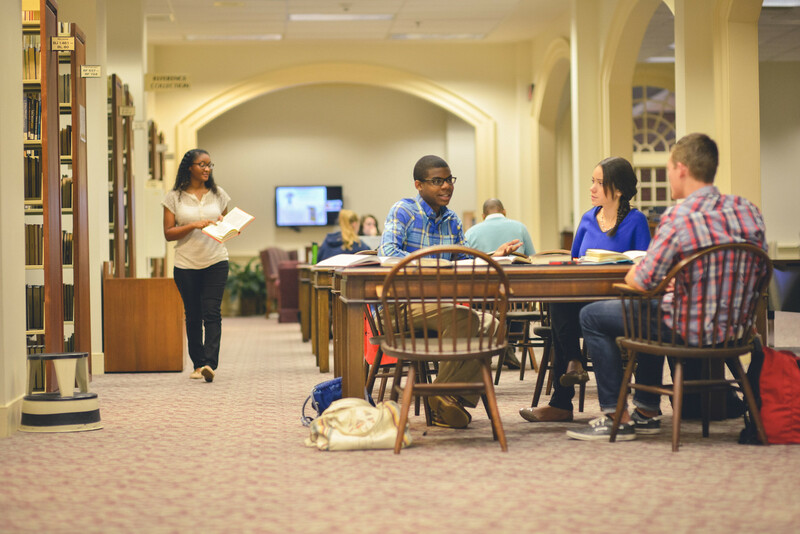 Log onto Regent University’s library homepage: regent.edu/lib. 2. Click on the third green tap, labeled “Catalog”. For example: Say you need to find a book concerning physics. All you word need to do is type “physics” into the keyword box. 4. After the page loads, students can scroll down through a list of everything Regent’s library has to offer on a given subject: Books, e-books, digital videos, and movies. 5. An important aspect to note is that the page will pull up the most relevant items first – those items which have the keyword in their title. If, instead, the publish date or title is more relevant to the search process, simply click on the desired link, found underneath the catalog search bar near the middle top of the webpage. 6. A nifty tool to assist in finding research materials is the “available” box located directly under the catalog search bar. This small box will limit the items shown to only those currently available to be checked out. 7. Once a relevant book is found, click on the book’s title to open a link. After the link opens, students will see a list of call numbers. If the “available” box was not checked, all of the books – both currently in the library and those checked out – will show on the webpage. Next to each call number, a status of the book can be found. 8. Located on the book’s webpage (under the call number), will be a short description of the information contained in the book. This webpage also offers: A physical description of the book, a note from the editor, biographical education, content, and ISBN numbers. 9. Logging into the library catalog is always a smart idea. Not only is it possible to request books online, it is also possible to renew checked-out books and find the due date for books currently checked-out. This has been an incredibly basic lesson on how to use Regent University’s Library catalog system. In order to learn more, the best way is to peruse the site. If, however, guidance is required, simply stop by the library’s circulation desk and ask for assistance; anyone there will be happy to help! Brianna is a staff writer at the Daily Runner.